"Deception: noun. Per the Merriam-Webster dictionary - "the act of causing someone to accept as true or valid what is false or invalid." The No on Measure C campaign of deception continues. They troll in the gutter for new ways to deceive the voters. “Event centers”, “traffic” – they know these words and all of their deceptions invoke strong negative emotions for many in the community. And they know these assertions are false. Their mailers have included the name of a strong and outspoken supporter of the Yes on C campaign. And a deceased individual. And those that were neutral. Deception. And now the latest mailer, makes it appear, in an oh so subtle sleight of hand, that the Napa Land Trust is against Measure C. The Land Trust is neutral. Deception strikes again. They will say and do whatever it takes to make sure you are confused and dissuaded from supporting your own best interests. Don’t let them. Know the facts. 1. Place a cap on oak woodland removal. Current county practice places no limits on removal – the result, clear cutting of hillside oaks has become business as usual. 2. Increase water quality buffer zones along streams and wetlands. 3. Increase oak tree replanting. Together, this will protect the quality and quantity of water flowing to our reservoirs and groundwater aquifers. Don’t let deception guide your choice. Water is a limited resource. Say “Yes” to a more secure, stable, and cleaner water future for us, for our businesses, for our agriculture. Say you are a 6-foot, 2-inch man and weigh 239 pounds. Just a random example. By the official categorization, you’re overweight, but not obese. You think, “I’m a little heavy, but everything is fine.” Then, you go into a doctor and see you weigh more like 245. Have you experienced a major weight gain? Not really, just a few pounds. However, you’re now in the obese category. Your doctor says to watch your eating and get better exercise. You need to be on a program. This needs your attention. Bad things will happen if you don’t do something. You automatically get enrolled in programs by your health care provider. You argue that nothing has changed much from your last weigh-in, so why all the fuss now? It’s just a couple pounds. Did the change from "overweight" to "obese" suddenly change what you need to do? Actually not. You should have been watching what you eat and getting exercise all along. You should have been on a program to get into a healthy weight and watch all the things that lead to a healthy state. You should have been exercising regularly for many years. Now, there’s a spotlight on it and everyone is paying attention and offering help. What do you do? Fight the idea that you need to get healthier or start jogging? This is the situation with the Napa water basin. 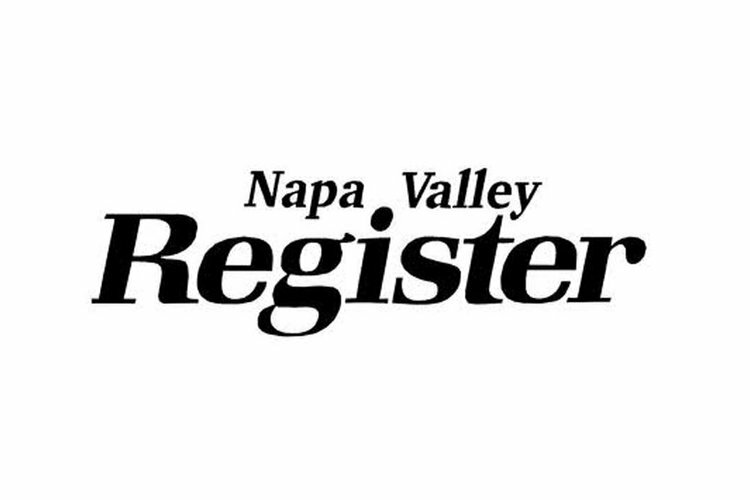 The state Department of Water Resources just recategorized Napa from Medium priority to High priority in a preliminary report. The actual evaluative score went up just a few points, from being very high in the Medium category across the line into the High priority. It’s not a major change, numerically. There was no single egregious action that screwed up the water table. It’s all of the things that happen - more wells being drilled, more vineyards planted, more people living here that put pressure on our natural water resource that are tripping alarms. We need to do more. We need to have been doing more all along to protect water resource and quality, both underground and on the surface. We need to control the growing consumption better, and protect the supply. We need to get formal about this to protect the future. What we have been doing is not enough. One thing we can do is protect the watersheds. That’s where the water comes from that ends up in the groundwater and in the surface streams. We can slow down and stop deforesting watersheds, because those forests capture water and guide it into the water table, so it is available all year round and finds its way to the basin under the valley. One thing we can do right now, before any meetings, is to vote Yes on Measure C, which very simply protects the watersheds. We need to control our tree-cutting diet. Jared Blumenfeld for The San Francisco Chronicle, May 24th, 2018. "Two years ago, I hiked the length of California and waded the Kern, Feather and San Joaquin rivers. At their beginnings, these waters are crystal clear, cold, flowing strong and clean. More than 40 years ago, Congress passed the Clean Water Act to protect these national treasures from pollution. When California’s rivers leave the mountain snowmelt behind, they embark on a difficult journey. Many are diverted, drained and pumped dry before they reach the Pacific Ocean. Those that keep flowing are often polluted with heavy metals, pesticides, bacteria, plastic bottles and runoff from industrial operations. In fact, the number of California rivers that failed to meet basic water quality standards for swimming, fishing and drinking shot up 170 percent from 2006 to 2010, (the last time our state undertook this legally required biannual task)." To the Napa County Board of Supervisors: I applaud your decision supporting the planting of oaks in Napa County, as well as considering the replanting of conifers lost in the October fires ("Napa County wants to help with post-wildfire oak planting," May 24). We have been supporting RCD’s re-oaking the valley efforts for two years now, and it is great to see our board behind these programs. However, I have been concerned about the effectiveness of these efforts. In Alston Park many of the new shoots that make it (and many do not) are taken by voles and other rodents. On our own ranch I see that oaks already grow where they grow best. Planting where oaks are not growing often results in failed attempts. We need more research on oak woodland and conifer restoration, which would be an important area for you to fund. This is one reason that I support Measure C. To cut oak woodlands where they naturally grow, even if the replanting is only 2-1, or 3-1, is a net loss in the functions they provide (erosion control and groundwater restoration, carbon sequestration)— even when successful— for many years. Oaks grow slowly. It does not make sense to keep cutting oaks— or conifers, for that matter, and then think replanting is going to mitigate that loss. We need you as our elected governing body to think more broadly about our hillsides, watersheds, and water supply. The most recent finding by the DWR reclassifies the Napa River basin as an area of high concern for water supply into the future and for our cities. It is critical you address this dire situation. Permitting more (irrigated) vineyards and development into our hillsides won’t do it. Please address this serious situation. Supporting the replanting of acorns/trees is a baby beginning, but we need serious planning to protect our ecology so Napa County remains a jewel into the future. Wine industry interests are threatening this, and increasingly these interests are corporate and outside interests. We need you to act on the behalf of the larger population of Napa County and on behalf of our environment.